What would come into your mind when you heard the word raptor? Most of us would think about intelligence and mean prehistoric creature we can only in the movie. If you had that kind of thought, then you are so wrong now. Today, we are not going to discuss prehistoric era creature since the raptor we are going to share today is a table creation of Cracow-born Sotyrys and Aleksander Pantopulos. 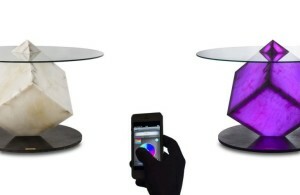 The designer duo works together to create this unique table. 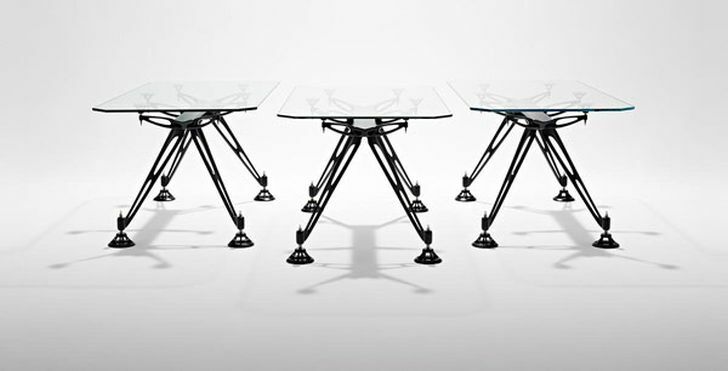 Where this raptor fits the best and how they create this Raptor Table? 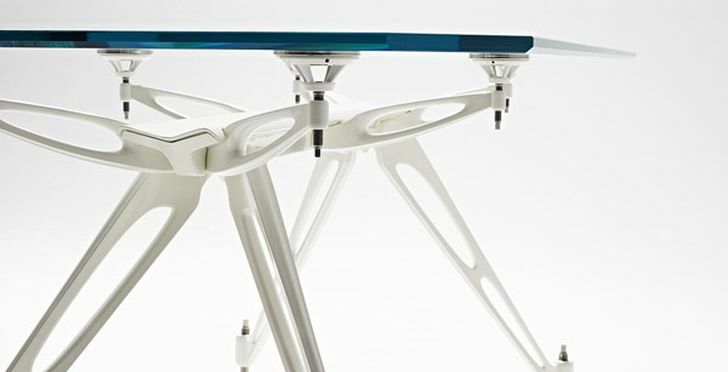 According to the designers, Raptor Table represents the future. It has futuristic looks, and the functionality is great too. 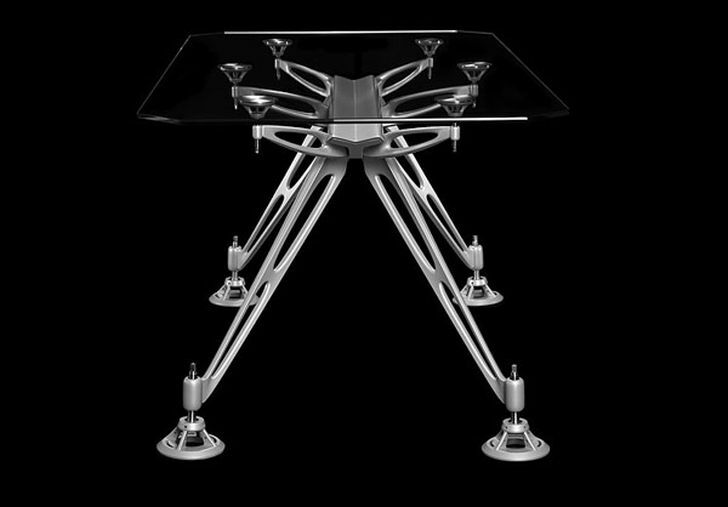 By looking at the Raptor Table, we can tell that they have successfully packed both the precision of technology and the luxury of appearance into one package. 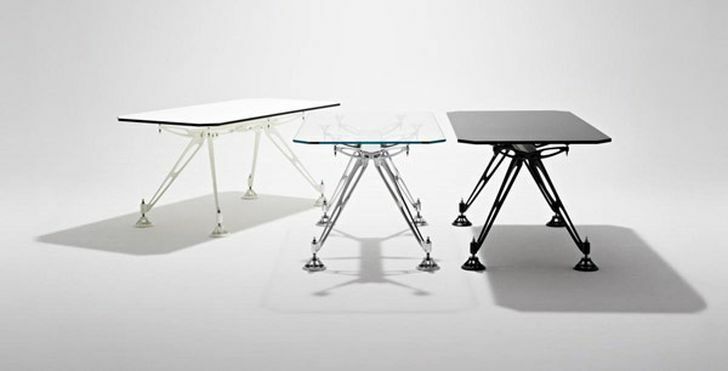 The sleek looking legs combined with glass or laminated top give this table a futuristic look. It can fit in modern themed room, and can be a perfect choice to create modern decoration. It comes with wide range of selection in form and materials. 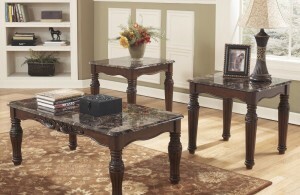 This leaves enough space for those who are interested with this Raptor Table to choose which one that really fits the style.